The 2016 Supreme Court decision that recently led an appeals court to throw out the conviction of a prominent New York politician shouldn't be used as a lifeline by New Jersey Sen. Bob Menendez to have his own corruption charges dismissed, federal prosecutors wrote in a court filing Thursday. They responded to Menendez's motion last week to dismiss his 2015 indictment based on the Supreme Court's decision last year to dismiss the bribery conviction of former Virginia Gov. Bob McDonnell. A federal appeals court in Manhattan cited the McDonnell ruling this month when it tossed out the corruption conviction of former New York State Assembly Speaker Sheldon Silver. Menendez is charged with accepting gifts and campaign donations from Florida eye doctor Salomon Melgen in exchange for using his political influence to help Melgen in a Medicare billing dispute and with a business dispute in the Dominican Republic. Their trial is scheduled for early September. Melgen was convicted of Medicare fraud in a separate case in Florida and is due to be sentenced next month. Menendez argued the McDonnell ruling narrowed the definition of bribery so that Menendez's actions alleged in the indictment - calling and meeting with Executive Branch officials to persuade them to take actions favorable to Melgen - can't be considered official acts and weren't illegal. 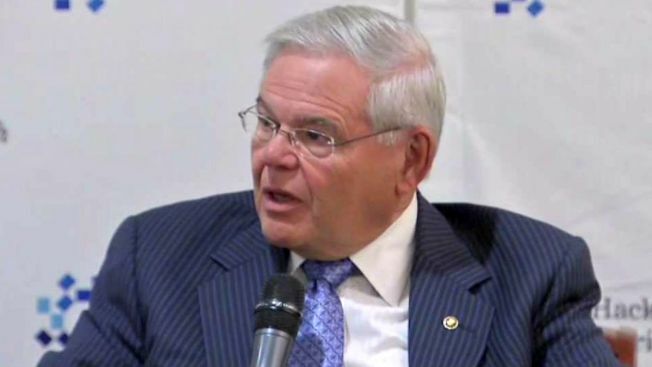 In Thursday's brief, prosecutors noted that in a previous, unsuccessful motion to dismiss the charges, Menendez claimed his actions were part of his official legislative duties and, therefore, protected by the Constitution's "speech or debate" clause. "Defendant Menendez is in the uncomfortable position of having to claw back his concessions now that they are fatal to his current request for relief," they wrote. The government also argued the McDonnell ruling clarified that the official involved in the bribery scheme "need not have control over the outcome of the question or matter - the matter may be pending before 'any public official.'" Accepting Menendez's interpretation of the McDonnell ruling would "decriminalize corruption, legitimize pay-to-play politics, and create a blueprint for immunizing criminal activity on Capitol Hill" by allowing members of Congress to "demand payment in exchange for exerting pressure on Executive Branch officials," prosecutors wrote. U.S. District Judge William Walls is expected to rule before the Sept. 6 trial date. Jury selection is scheduled to begin the week of Aug. 21.